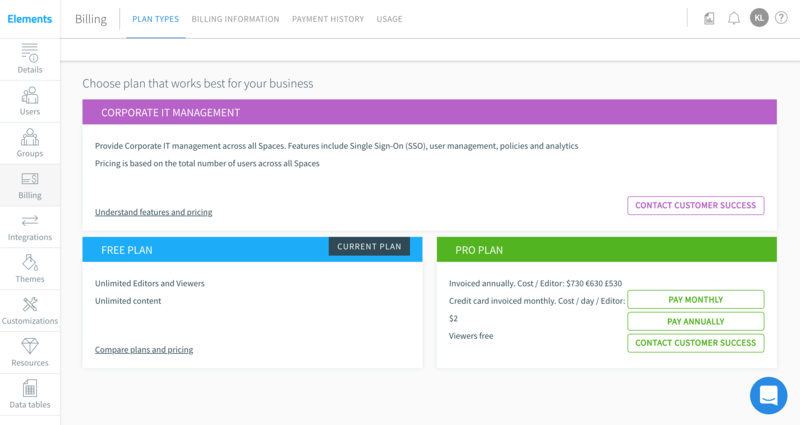 You can always view the feature comparison between difference licenses in your space management, or on the website pricing page. Select your Space from the Space list and either click the "Manage space" button on the right panel or click on the name of the currently selected Space in the upper-left corner of your screen. Then select the "Billing" icon from the left menu and you will see "Plan Types" table with a link to our website, where you can compare all features by plan. 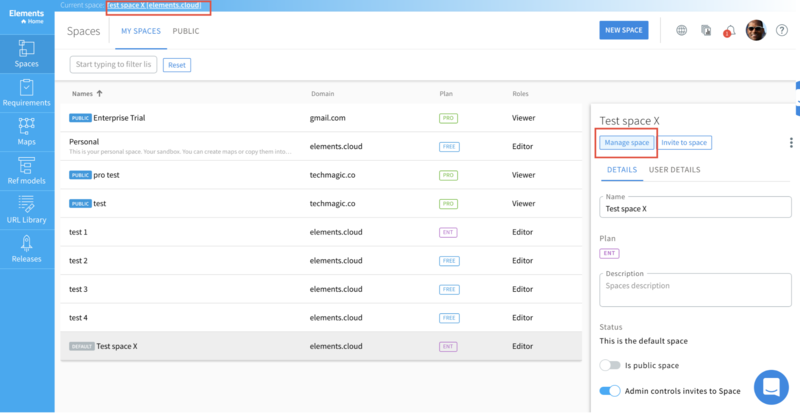 If you have any questions about any specific functionality, feel free to start a conversation with us using the blue chat icon in the lower-right of the screen or email us at: success@elements.cloud.